Knitting can be scary at first, especially when you make a mistake. 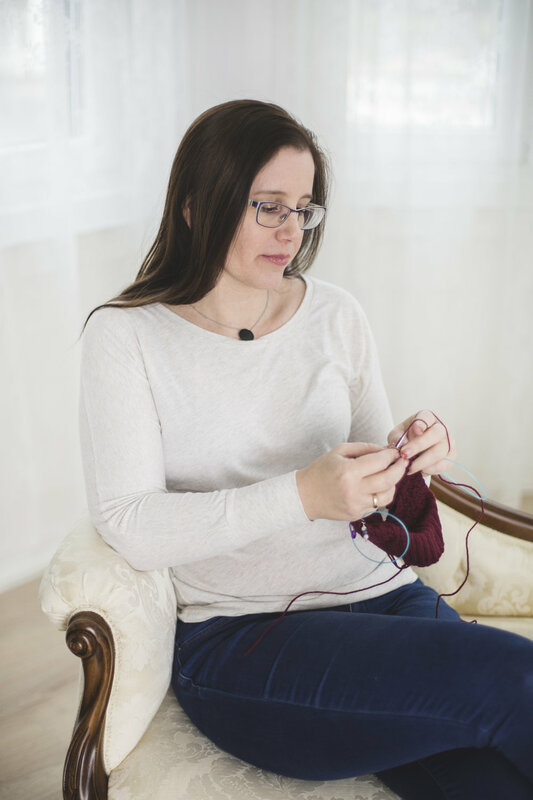 Don’t worry – knitting can go wrong sometimes but it can also be fixed, let me give you some tips. Some of them might seem obvious, but trust me, we have all made silly mistakes. If you start knitting with metal needles, sometimes the yarn can slip. Try different needles to see what suits your yarn. Bamboo is the least slippery, metal is the most, wood and Teflon needles are in between those two. Choose your needle size carefully. If they are too large, your garment will be too loose. Don’t choose too small needles either because your knitting will be too tight. TIP: Everybody has a different knitting tension, always knit a sample, wash it and check how it looks. Choosing the wrong yarn: if you knit a summer top with warm wool or alpaca, you will never wear it. TIP: Choose the suitable yarn for your pattern, for summer the best ones are cotton, bamboo or silk. Choosing a variegated yarn for a busy pattern. TIP: Find your yarn choice on Ravelry and check the finished projects to see how the yarn looks after knitting. Make sure you choose a not too complicated pattern. Read the instructions before you start to make sure you understand the pattern. Don’t be overly ambitious at first. If you have never knitted before, don’t start with a hooded cardigan full of cables. Find something smaller, simpler, the progress to more complicated patterns. 9. Broken needles - ouch! Don’t leave your wooden needles out. Many have been broken by somebody accidently sitting on them. TIP: Keep them in a secure, solid basket or box or put them on a shelf or table. Note down what needles you used for your swatch – you might not remember them later. Use stitch markers so that you can keep track where you are in the pattern. You can buy some great ones or make your own from a contrasting colour yarn. Mark where you are in the pattern when you put down your knitting so that you know where to carry on later. Try not to stop knitting in the middle of a row. If you knit until the end of the row, it will be easier to continue later. Also, you avoid knitting backwards and have less chance of dropping stitches. Always knit a swatch to ensure that you knit the correct size! Different size needles and even different material needles will give different results. 16. You knitted a swatch, but the size is not good. Don’t make your swatch too small, not just 20-odd stitches, but at least a 6x6" (15x15 cm) size. 17. Knitted a big enough swatch, and... the size isn't right. Always wash and dry your swatch to see the final size and look. TIP: Knit a 6x6" swatch, wash and dry it and if you are happy with it, use the exact same needles for your garment. Be careful washing your garment, check the instructions on the yarn. You don’t want to felt your newly knitted garments in the washing machine. If you are knitting something as a present, make sure you include the washing instructions. TIP: Hand washing is the safest, it is not that complicated and it will not ruin your piece. Don’t try to knit straight from the skein, it will get tangled. Wind your yarn into a ball. Make sure you have enough yarn for your project. Your yarn store might run out of the yarn by the time you realize you need more. Whether you are a beginner knitter or have lots of experience you will definitely succeed if you keep these in mind. Is this too much too keep in your mind? Don't worry, download the checklist, and you can take a look on it every time you need it.